AD 325 – Constantine in the spurious written donation to Pope Sylvester, today proven to be an invention, is basically presenting a case that St Peter as the Apostle of Jesus, and the one to whom Jesus gave the earthly kingdom, is reason enough for Rome to continue to Claim taxes for Christ. Hence was born the Corporation of the Apostle Peter. AD 1302 – Pope Boniface VIII, created the first Express Trust, called Unum Sanctum. The Trust was set up to allow then lords and knights to go off to fight in the crusades. What they did was to hand over in Trust, the care of their estates and property to a trusted friend. The new owner became the Trustee of the holding on behalf of the knight or lord , etc. Upon return from Crusade many knights found that their trusted Trustee refused to hand the titles back, and then found the courts would back the new Trustee’s claim over that of the knights. 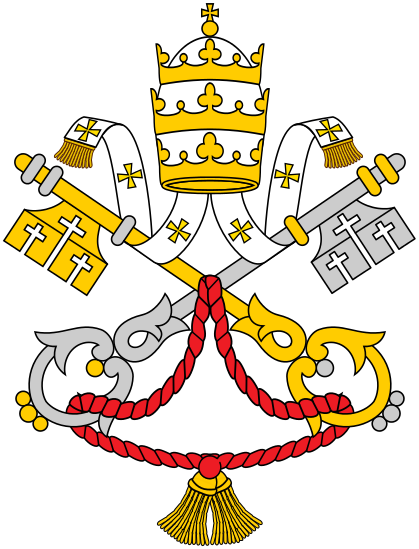 The Holy See controls the courts through the Canon Law. From this Trust would a further three Trusts take they’re divine authority, the authority to make you an asset of the divine corporation. If we expand the picture somewhat what we have in the creation of the Unum Sanctum is the mechanic by which the Holy See, through the Pope, was the whisperer of deeds to be done for Christ in the ears of Kings and to Knights to go off and kill in direct opposition to the Gospel message, thus the knight in following the call to kill given by the Pope, forfeits his land and titles to his Trustee. If the knight showed continued allegiance to the Pope during the campaigns, upon his return from the crusade would receive his property and land back from his appointed Trustee, but in order to keep his regained possessions he becomes a slave to the Holy See or the courts would shift ruling in the favour of the Trustee. The Claim of Right that made up the Papal Bull had within it the claim that they own all the souls in all the world. AD 1307 – Pope Clement, successor to Boniface, worked with Philip the Fair to destroy the Cabalistic Templars and thus the challenge to the Claim of Right made by the Holy See. The Claim of Right and the first Express Trust named Unum Sanctum, is the core of the Holy Sees ownership of your soul. The Birth Certificate is the Title to your soul and proof of ownership by the Holy See. This Trust is the first Crown. In the first Claim of Right the Holy See had become the owner of your soul. Having reduced powerful people into slaves to the Vatican through rulings of court the second Claim of Right was formed to give the Holy See ownership of your property. 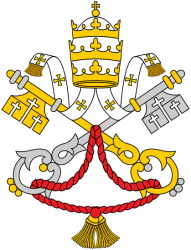 AD 1455 – a Testamentary Trust is created under Pope Nicolas V, called Romanus Pontifix. This Trust had conveyed into it all the rights of the first Claim of Right the Holy See made upon your soul. This Trust is the foundation to Monarchy, it is the Crown Trust to which all monarchs have Title, they do not have ownership, that resides with the first Claim of Right by the Holy See over your soul. Monarchs are administrators. This is the first Crown. This Crown removes your real estate rights. This is the second testamentary deed, Trust and will the second crown of the people which makes people slaves, this is the Trust over the Commonwealth, so not an English ideology at all. The current British structure is exactly a Holy See Trust. AD 1531 – a third Trust was created called Convocation and relates to Baptism and thus your soul. This relates directly to the Commonwealth or as making up the common-wealth owned by the Holy See from the ownership of the souls of the masses. The idea of Commonwealth is far from an English creation, it is a creation of the Roman Empire. The latter three Trusts make up the three Crowns depicted in the above image. Vatican II finalised the Jesuit and thus the secret society combine takeover of the entire Vatican system allowing futurism to become the real script religion would follow. This includes Zionism and Islam. The original idea of Monarchs tied to the Christian Canon Law was not originally a bad thing, but from 909 AD the Carolingians became the Monastery at Cluny. The West is controlled via this system therefore whomever controls Rome the Church, controls all in Christendom. This is the section entitled “An Astounding Document” in Chapter 2, “The Quest for Absolute Power,” in Peter de Rosa’s Vicars of Christ: The Dark Side of the Papacy (Bantam Press, Corgi edition, 1999, pp. 63-61.) It tells the story of one of the greatest hoaxes ever committed, a monumental fraud whose effects have endured for over 1500 years to the present day. Stephen III became pontiff in the year 752 after his predecessor Stephen II had lasted only four days, the shortest reign recorded. The new pontiff had been practically brought up in the papal court. He knew the pope was not merely a religious leader but, as a loyal vassal of the emperor, a civil governor, too, with extensive territories under his command. The secularisation of the church, started by Constantine, was well under way. He had seen the potential of the hierarchy as a governing class. They were as well organised as his own civil service, which they slowly replaced in the courts and in diplomacy. When, in the year 330, the emperor took his entourage to Constantinople, on the site of the ancient Greek City of Byzantium, the bishops of Rome became more and more involved in civil affairs. Two popes in particular are numbered among the greatest men who ever lived. Leo the Great (440-61), by an act of great daring, saved Rome from Attila the Hun. Gregory the Great (590-604) was effectively the civil leader as well as Patriarch of the West. With this dual role thrust upon them, there was an inevitable growth in bureaucracy. They worked heroically, but Christian simplicity was never again to be seen in Christian Rome. When the Lombards, a barbarian tribe from the Baltic, settled in Italy after the year 568, the papacy had no peace. The newcomers took over most of the North. Gradually converted, the Lombards were never trusted by the Holy See. When the bond between popes and their liege lords, the emperors, weakened, the pontiffs had to forge a fresh military alliance if they were to hold on to Rome and the surrounding territories. It would perhaps have been better had they surrendered them, but to great landowners that has always been unthinkable. One year into his pontificate, Stephen III travelled north in winter to see Pepin, king of the Franks. Never before had a pope sought aid from a Western sovereign; it was to be the first of many requests for military aid. In robes of black, his hair covered in ashes, the pope knelt at the king’s feet, imploring him to use his armies to save the affairs of St Peter and St Paul and the community of Rome. There, at the Abbey of St Denis, he anointed Pepin and his son, Charlemagne, as ‘patricians of the Romans’. It was most likely at this meeting that Stephen showed his royal host a document of great antiquity. Dusty and crumbling, it had been preserved for centuries in the papal archives. Dated 30 March 315, it was called ‘The Donation of Constantine’. It was a deed or gift from the first Christian emperor to Pope Sylvester. Finally, lo, we convey to Sylvester, universal Pope, both our palace and likewise all provinces and palaces and districts of the city of Rome and Italy and of the regions of the West. Constantine also gave a hitherto unheard of explanation as to why he had taken himself to the East. He wished that Rome, where the Christian religion was founded by the Emperor of Heaven (Christ), should have no rival on earth. Pagan Rome had abdicated in favour of Christian Rome. King Pepin was impressed. The document proved that the pope was successor to Peter and Constantine. The emperor had even acted as Sylvester’s groom, inspiring many emperors and kings to imitate his humility at papal coronations in the centuries that followed. When Pepin took to the field and routed the Lombards he handed back to the pope all the lands that were rightly his by the Donation. It was a surprising development of the gospels. Jesus possessed nothing but the clothes he stood up in. His chief disciples now not only had enormous territories to which they became excessively attached; they needed military alliances to keep them. The Donation continued to be influential. For example, the only English pope, Adrian IV, appealed to it when gave Ireland to Henry II of England. Adrian was formerly Nicholas Breakspear, the son of a priest. When Henry began the long and tragic occupation of Ireland in 1171, the Irish episcopate, assembled at Cashel, recognised him and his successors as lawful kings of Ireland. To this, the new pope, Alexander III, set his seal of approval, but not before insisting that he received his annual penny per household [subsequently known as “Peter’s pence”]. This was the papacy’s price for handing over this most Catholic and Celtic of lands to the Norman English. What makes it harder to bear is that the Donation was a forgery. The Donation was a fabrication, probably concocted by a Lateran priest just before Stephen III visited King Pepin. Such was the state of scholarship at that time, no one saw through it, though a schoolboy could do so today. It was not until a papal aide, Lorenzo Valla, took it apart line by line in 1440 that it was proved to be a fraud. Valla showed that the pope at the alleged time of the Donation was not Sylvester but Miltiades. The text refers to ‘Constantinople’ whereas Constantine’s City in the East still retained its original name of Byzantium. The Donation was written not in classical Latin but in a later bastardised form. Also, explanations are given, say, of Constantine’s regalia, which would not have been needed in the fourth century but were necessary in the eighth. In a hundred irrefutable ways, Valla shot the document to pieces. He did so with trepidation, knowing that many Roman prelates would be out for his blood. Because I have attacked not the dead but the living, not merely any ruler but the highest ruler, namely, the Supreme Pontiff against whose excommunication the sword of no prince can afford protection. … The Pope has no right to bind me for defending the truth. … When there are many who will endure death for the defence of an earthly fatherland, should I not incur danger for the sake of my heavenly home? It was not until 1517 that Valla’s book was published. It was the critical year when Luther attacked indulgences. A copy of it came into Luther’s hands, and he saw for the first time that many of his earlier beliefs about the papacy were founded on forgeries like the Donation. Though every independent scholar was won over by Valla’s arguments, Rome did not concede; she went on asserting the Donation’s authenticity for centuries. This was a pity in that the truth about it was far more incredible than the tissue of lies it contained. The story of Constantine’s leprosy and subsequent baptismal cure was a pious fifth-century invention. The fable is perpetuated in the baptistry of St John Lateran in Rome. An inscription relates how the emperor was baptised there by Pope Sylvester. These are the facts: Constantine was a soldier at a time when shedding blood was unacceptable to the church. This may be why he delayed his baptism until he was on the point of death and he had no strength left to commit sin or kill anyone else. Not long before, his mother Helena had died, aged over eighty. Only then was the emperor enrolled among the catechumens [persons receiving instruction in the principles of the Christian religion with a view to baptism], not in the church’s headquarters but in distant Helenopolis, in the East. He was taken to the Villa Achyronia near Nicomedia. He was baptised there not by the pope, not even by a Catholic bishop or priest, but by a heretical Arian bishop named Eusebius. He died on the last day of the Whitsun holiday in the year 337. This throws a murky light on many of the most significant events in the church’s early history. When Constantine called bishops his beloved brethren and styled himself ‘Bishop of Rome,’ which popes later appropriated, he was not a Christian, not even a catechumen. Yet no one remotely approached his stature and authority. Even the Bishop of Rome — not to be called ‘the pope’ for many centuries — was, in comparison, a nonentity. In civic terms, he was a vassal of the emperor; in spiritual terms, he was, compared with Constantine, a second-class bishop, with a title of honour over most other bishops because he held the Apostolic See where Peter and Paul and worked and lay buried. As Burckhardt stresses in The Age of Constantine, the emperor’s title of ecumenical bishop ‘was not merely a manner of speaking; actually the Church had no other central point’. Not the pope but he, like Charlemagne later, was the head of the church, its source of unity, before whom the Bishop of Rome had to prostrate himself and pledge his loyalty. All bishops agreed that he was ‘the inspired oracle, the apostle of Church wisdom’. To the end of his life, Constantine, while building magnificent churches in Palestine and elsewhere, was erecting equally magnificent pagan temples in Constantinople. This was clearly understood as part of the first settlement of ‘the Roman Question’. The emperor was a sacred person, Pontifex Maximus, another title that the pope was later to assume. It followed that the emperor, and he alone, had authority to convoke religious assemblies like the Council of Arles in the year 314. As one contemporary bishop put it: ‘The Church was part of the State. The Church was born into the Empire, not the Empire into the Church.’ It was, therefore, Constantine, not the Bishop of Rome, who dictated the time and place of church synods and even how the votes were cast. Without his approval, they could not pass into law; he alone was legislator of the Empire. It is another paradox of history that it was Constantine, a pagan, who invented the idea of a council of all Christian communities. Only in this way, his genius told him, would the church’s faith be formulated incontestably and for ever. No bishop of the time would have asked the Bishop of Rome to decide thorny questions of belief. After defeating Licinius in the East in 321, Constantine called the First General Council of the Church. It met in 325 in Bithynia, in a place called Nicaea, meaning ‘Victory’. It was probably the most important Christian assembly in history. Arianism, a heresy that subordinated the Son to the Father, had spread all over the world. Controversy was not merely bitter, it was bloody. It was against the emperor’s interests to have Christians fighting one another; they were meant to be the stabilising force of Empire. He was dismayed to find that, after he had freed them from persecution, they were tearing each other to bits over the Holy Trinity. At Nicaea, the Founding Father of Ecumenical Councils gathered 300 bishops, having laid on free transport. All but half a dozen were from the East. Sylvester, Bishop of Rome, did not attend; he sent two presbyters instead. Without a shred of doubt, Sylvester had no part in calling the Council or any say in running it. A pagan emperor had complete control. He held it in the big hall of his palace. According to the historian Eusebius, he was tall and slender, full of grace and majesty. To make his presence felt, he opened proceedings ‘stiff with purple, gold and precious stones’. The outcome was not what he had hoped. The Arian ‘heresy’ went on for generations. So did the complete immersion of the state in church affairs. Ecclesiastical politics replaced the priorities of the Gospel. Religion was unimportant, the church was all-important. The result, Burckhardt said, was a ‘Church rapidly disintegrating in victory’. The cost of Constantine’s ‘conversion’ to Christianity was the loss of innocence. His cynical use of Christ, in which everyone, including the Bishop of Rome, acquiesced, meant a profound falsification of the Gospel message and the injection of standards alien to it. From then on, Catholicism flourished to the detriment of Christianity and of Jesus who wanted no part in the world of power and politics, who preferred to be crucified rather than to impose his views on anyone. By the time Stephen III became pope, the church was thoroughly converted to the Roman Empire. From the Donation, it is plain that the Bishop of Rome looked like Constantine, lived like him, dressed like him, inhabited his palaces, ruled over his lands, had exactly the same imperial outlook. The pope, too, wanted to lord it over church and state. Only seven hundred years after Peter died, popes had become obsessed with power and possessions. The pontiff strode the earth, a figure of worldliness and unworldliness. He, literally, wanted the best of both worlds, but certain Roman emperors kept a check on his ambition. Birth certificates were first demanded in Britain in 1836 after the House of Rothschild removed the British stock market from the British government in June 1815 after the Battle of Waterloo. In the United States after the 1913 formation of the Federal Reserve the same move would be put into place with the same demand for the registration of your children set in statute in 1933 under Franklin Roosevelt and his new deal. Soon every American will be required to register their biological property in a national system designed to keep track of the people. We can compel people to submit to our agenda which will affect our security as a chargeback for our fiat paper currency. Every American will be forced to register or suffer not being able to work and earn a living. They will be our chattel. They will be stripped of their rights and given a commercial value. Titles we take for granted such as Mr, Mrs, Dr, MP, QC, MD, HM, etc are the presentation of the commercial value of the Legal Fiction. In the realm of the legal fiction all common law rights are turned into crimes, such as defending yourself and your goods and shackles and your right to the highways for example. The Legal Person, What is its Nature?